The 0.56ltr Dimple Base tankard is a simple handmade design with a solid base. 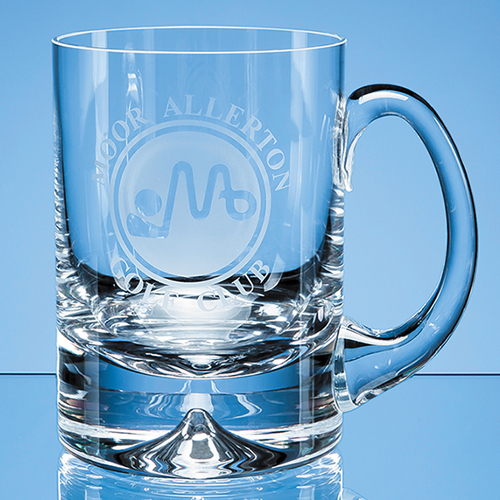 There is an engraving area where the glass can be personalised using sandblast engraving or with an etch effect, colour or silver paint. It is perfect as a gift or giveaway and will look great on display at home or in the office.